I was over halfway through my pregnancy when I traveled for work to Vermont to visit a client. My contact there is a female that I'm close enough to that we can work hard during the day together and then kick back in the evenings over dinner and have "real talk." Since she is a mother herself, a lot of our conversation this past trip revolved around pregnancy and childbirth. I was so interested to hear about her experience, which included the use of a doula. I was somewhat familiar with the concept but spent a good amount of time researching doulas and reaching out to some local ones in Charlotte. + We were complete amateurs. 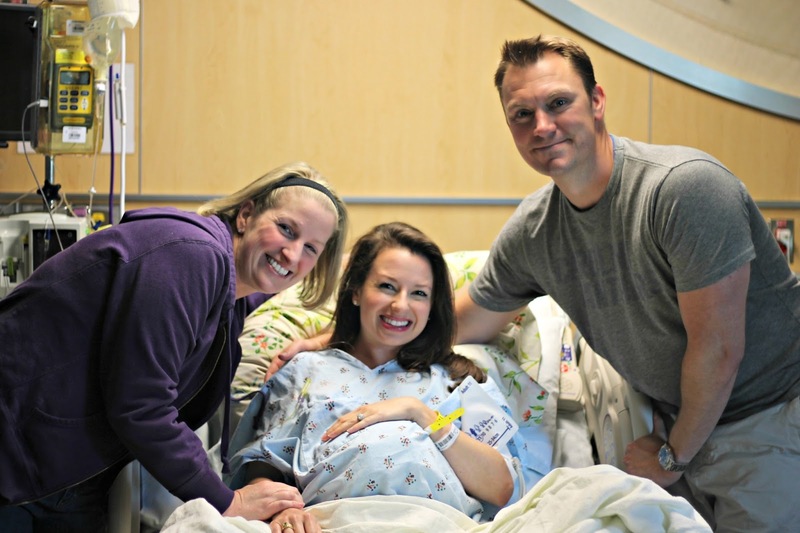 First time parents with no births attended, ever. We loved the idea of the hand-holding we would get through a process that can frankly be overwhelming. + We loved the statistics: evidence-based research shows that doula-attended births are shorter, have fewer complications, are associated with more positive birth experiences, and reduce the risk of emergency c-sections, forceps, vaccuums, etc. + I wasn't closed to the idea of a medication-free birth, and I knew the use of a doula could be extra helpful in laboring unmedicated. I truly believe that most hospital nursing staff can also provide great support, but in my own time of laboring, there were several times that the nurses needed to be tending to other patients. Our doula was always by my side. Seriously, I don't even think I saw her take a break; she was amazing. I did end up choosing an epidural but only after dealing with extremely strong and quick contractions for about 7 hours, and she got me through all of that pre-epidural laboring. + We had various family members coming in for the birth and our doula was a great help in managing everyone's expectations and being a source of support to everyone. + I wanted to feel that my husband was my biggest cheerleader through the birth, and our doula helped coach him with how to best support me and my needs. + Lastly, I loved the "old school" concept of having a female who is very experienced with births to be my side, someone who had seen it all and could bring a wealth of information to the process. Someone who was my advocate. 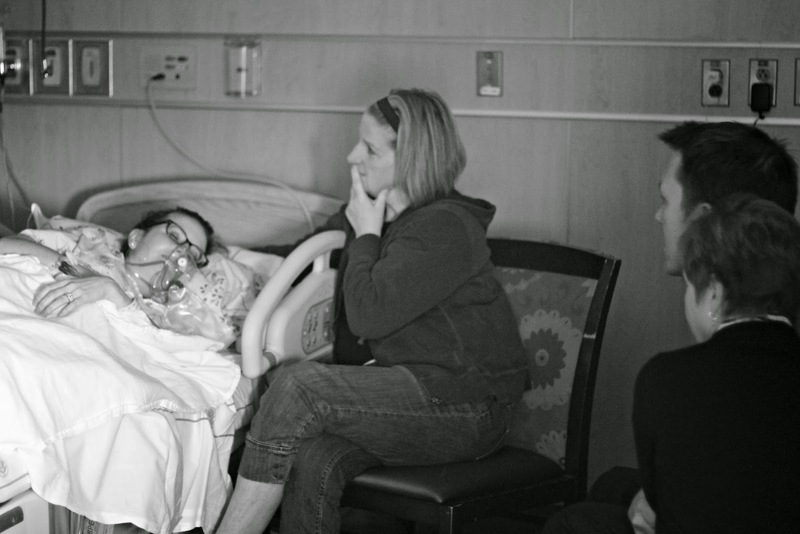 In my personal experience, our hospital worked seamlessly with our doula. They did not seem put off at all that we had her in the room with us, but I think this is also due 100% to her wonderful attitude and teamwork approach. She has a gentle but firm personality and never overstepped her boundaries. She worked with me before our due date to lay out my "birth preferences list" which is like a birth plan but a lot more flexible to account for changes that may need to occur for the baby's safety or my safety. Additionally, she was an incredible source of education and support to me while I was approaching my due date and then in the nine days past that date that we went before meeting our daughter. She and I texted or spoke on the phone daily. She helped me with preparing for the birth and the labor -- everything from what to pack in my hospital bag to what sort of really strange labor signs I could look out for. She brought to the table helpful ideas to move us in the direction of having our baby, and most importantly, she kept my spirits up. 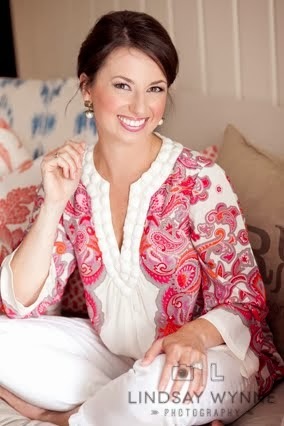 While I labored overnight without my family members there, she held my hand, stroked my hair, put a cold washcloth on my forehead, pushed my hips together, rolled tennis balls on my back and massaged my shoulders -- which allowed my husband to sleep and get rested for the huge day ahead of us where I would really need his help. In the morning, we three walked the halls of the hospital together. I don't know if I would have made it out of the bed for a walk without her encouraging us to do so. Hiring a doula is an added expense that is often not covered by insurance plans, but my husband and I are both in total agreement that it was money very well spent. Our doula has a special place in our hearts and will always be a part of our lives. She shed tears of joy right next to us as our darling Camille made her way into this world. It was an incredible moment that we had all been waiting for! If you have any questions, please don't hesitate to leave them in the comments or contact me personally. 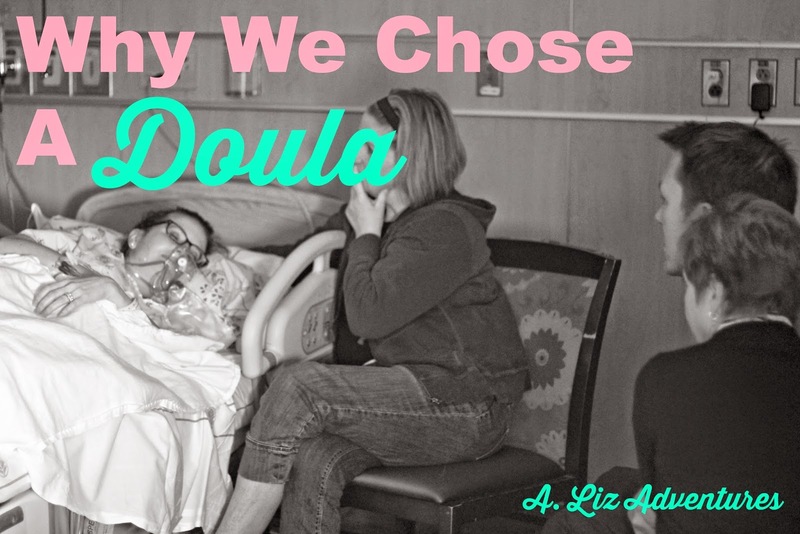 If you've used a doula, I'd love to hear about your experience. Feel free to Pin the below image if you feel that this information could be helpful to you in the future! I am due November first and will deliver with a doula. Frankly I just want someone who has done this before and can reassure me when things start to get overwhelming. I am so glad you were pleased with your experience. I love how you all chose to use her and the support she gave! Another post of yours to look back on one day! :) I'm teary reading how she got teary and you all were overcome with joy..ahh! I would love to talk with you more about this and if you don't mind me asking, inquire how much she charged for her services. I would so love to explore having a doula during my labor, but I just don't know if it's financially feasible with all of the other costs were going to incur. I am so glad you wrote this post! I wondered for so long what exactly was a doula (I guess I could have googled it) & what the perks were. Sounds like you had a great experience though & that she really helped you & Ian through everything! That's awesome!! Thank you for sharing this!! This is so interesting I never have heard of something like this other than a midwife which I'm not sure what the actual differences is but I could see how this would be something great while in labor. Glad it helped you! So interesting! One of my friends used a doula, because her husband worked crazy hours and she had just moved across the country away from family and friends. I think it's a great idea to have someone in the room who you are familiar with and who knows the process! Love this - I lean towards using a doula in the future, and I'm pretttty sure this just cemented my choice. ps kinda random one of my best friend's name is doula (her nickname, she is greek) so i kept thinking about her while reading this. I also hired a doula for similar reasons as yours and would highly recommend looking into a doula for anyone.. especially first time mothers. My husband always says our doula was worth her weight in gold :) Doulas have a passion for their line of work and provide compassion, education, support, shared joys and like you said, advocacy for you during your pregnancy and labor. If we ever have a 2nd child I will most likely hire a Doula since every pregnancy and birth can be different. In the heat of the moment it was so refreshing and helpful to have our Doula by my side. Loved this post!! We had the most amazing doula for our first and it was seriously one of the best decisions we made. Not only are they there to help you labor, but she also helped us make sure everything was handled going on around us so we could focus on having our baby. They are almost like your advocate at the hospital and they know the ropes. I cannot rave enough about having a doula. She also took our camera and captured some amazing moments that we wouldn't have been able to capture otherwise! She was also a great source of information for all of those questions you have as a first time mommy after you get home.